All day today it has rained, so that made it more difficult to get out and find materials to use. However my Mom brought home a huge palm from the grocery store this morning for me to use(hooray and thanks Mom!). So now I have palm to practice braiding, and that is what I did. I only did the one today to try to conserve my palm and not cut it all at once. The best part is that after not doing this for a few weeks I remembered how to do it right away, and it was quick and simple. For me that is a big success, being able to do it from memory and to do it fast too. 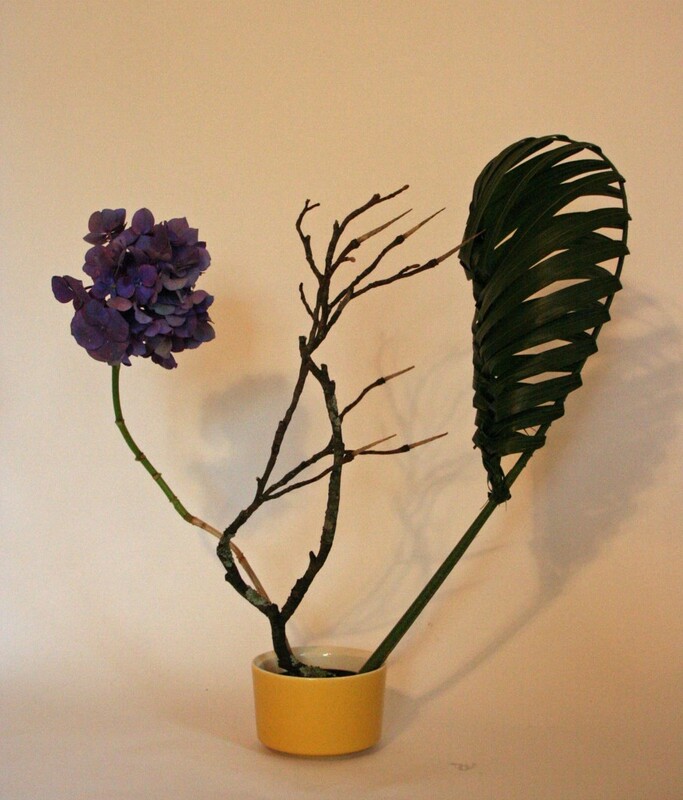 I did have some work to be able to make the palm with with the materials I did have on hand and came up with this vertical ikebana. The braided palm really excites me and now I have to pratice more and move on to other variations.